Home » Open Source System » What is better to Use: Open Source System or System with Low Cost? What is better to Use: Open Source System or System with Low Cost? Quality check is a very important component of product development, but for a lot of small businesses, this important aspect is either overlooked or underperformed because of capital constraints. Smaller businesses often opt for open source solutions for their more pressing problems and while these open source software have a license at no cost are they always optimal for your needs? Should You Only Look at License Cost When Opting for Bug Tracking System? While license cost is almost always a very important consideration, there are a lot of other factors to consider as well. Proponents of open source software often talk about open source software being very cost effective, with low maintenance and high customizability. What they fail to mention is that test management tools are highly technical software and even to customize them, a lot of product and domain knowledge is required. The question that arises, then, is whether the business has the product knowledge to perform these customizations without any outside help. Hiring a technical savant, who can customize the product to your individual needs, again it costs money. For long term maintenance too, you may need to keep referring to this specialist. This would cost more money. In the end, the software may actually end up costing you the same or even more than any other software. What is the Other Alternative? There are cost effective alternatives to open source tools – technical tools which are not only low cost, but also come tailor made to the unique needs of each business. Take for instance InformUp.com. This is a low cost application lifecycle management tool, which can be fully customized to your business' needs. It comes with a very simple and pleasing user interface and has many time saving features which you simply would not find in any other open source tools. Let's make a simple comparison between InformUp ALM and one of the most popular open source ALM tools – Bugzilla.org and see how they compare on a number of important performance factors. Status Workflow – This is one of the most important factors to consider when opting for a bug tracking tool. While in Bugzilla, the status workflow does not give you dynamic transitions, InformUp offers you fully customized workflows. If you want to change the status state or the flow, Bugzilla is definitely not a tool you can count on. User Interface – The user interface of the tool decides how you interact with it and use it. 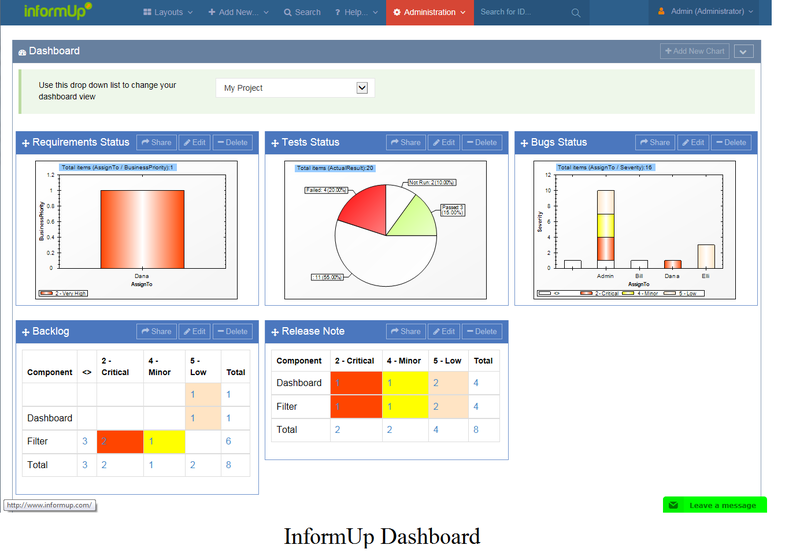 InformUp has a very modern, clear, intuitive and time saving interface. Everything you need from the tool is presented right there, and so you can move from one function to another with great fluidity. On the other hand, you have Bugzilla with a very outdated interface that is not intuitive at all. Installation – A simple installation on the bug tracking system saves you a lot of time and heartburn. The more complicated the installation is, the more tedious the tool seems to be. InformUp has one of the simplest installations in the market as you can find among many others tools out there, while Bugzilla seems more complicated and tedious. Download or Hosting Solution – Some of the companies do not want to spend money and time. Bugzilla is only for download and self-installed. InformUp has both options: download and software enables you to start in just 1 minute. 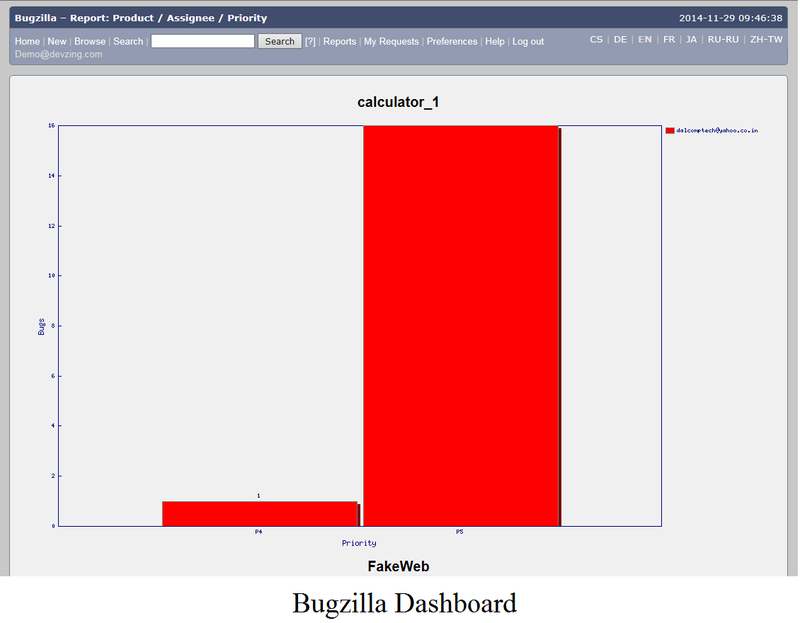 The most important thing is that InformUp can offer you 14-trial-days to taste their ALM tools while at Bugzilla it is not exist. Support – When you are planning to switch to a tool that helps you track software testing life cycle, always check the kind of support you get. With open source software such as Bugzilla, there is no support unless you decide to pay for someone. With InformUp though, you get support built right into your service contract. The support therefore is covered under your low priced package.